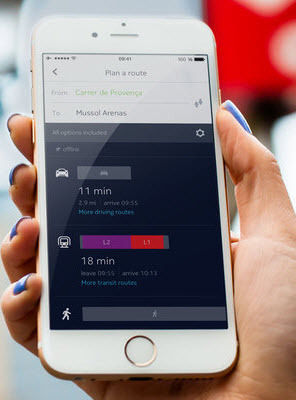 Nokia has released HERE Maps for iPhone. Voice-guided turn-by-turn navigation that works around the world. Maps you can save and use offline for more than a 100 countries, including the US, the UK, Germany, France, Italy, Spain, Canada, Australia and Brazil. Real-time traffic and incident information for more than 40 countries. Public transit maps, directions and information for more than 900 cities. A route planner that shows driving, public transit and walking options so you can quickly compare them. Your saved places are available on all your devices so you can plan journeys easier.